Visit our New Acreage Display Home at Springbrook this Weekend! On Saturday November 24th DR Homes is set to open the very first display home in our prestigious acreage estate in Delaneys Creek – Springbrook. Featuring 4 bedrooms, 2 bathrooms and a games room, this home has been specifically designed for family life and relaxed entertaining. The expansive indoor and outdoor living space caters for all members of the family and ties in perfectly with the lush landscapes and fantastic location on offer in Delaneys Creek. Whether you are in the process of building your own home or just want to check out the latest home interior and exterior design trends, you won’t be disappointed by the stunning DR Homes display home. Located in the Mt Mee district, Springbrook puts you only a short drive from shopping and education facilities as well as being less than 30 minutes from Caboolture’s major transport hubs. House and land packages are available now from only $425,000. Enquire today! New Stage Just Released at Pacific Cove from $278,000! The latest stage at our predominately owner-occupier community in the northern Gold Coast region has just been released! Lots in this new stage are sized from 405sqm up to 780sqm, adjoin the quiet, peaceful conservation park, and are priced from only $278,000! These NBN ready lots are all level, with some offering extra wide frontages. The brand new bridge that will connect Finnegan Way to Cunningham Drive North and link both sides of Pacific Cove together is due for completion in the coming weeks. This much anticipated, multi-million dollar construction, will provide a key thoroughfare for residents, giving them easier access to all local amenities, including schools and Pimpama Junction Shops. Enquire today to secure your prime Gold Coast lifestyle at Pacific Cove! QM Properties are excited to be sponsoring the annual Hatton Vale State School Christmas Concert being held on November 30th. Attended by 2000 members of the community, the annual Christmas concert is the biggest event of the year for the school located within QM Properties’ The Fairways Estate. The evening recognises the hard work of the students in their music curriculum and will be an amazing performance for everyone to enjoy. There will also be a variety of food trucks and handmade stalls operating on the night. Come along and bring your own chairs, picnic rugs and bean bags to enjoy the concert and join in on the fun! Enquire now about our newest stage coming soon to The Fairways in early 2019! New Release at Sandstone Lakes Now Selling! Located in the bayside suburb of Ningi, Sandstone Lakes encircles a large lake and has some of the most attractive streetscapes in the area. The latest stage offers a range of elevated and level lots ranging from 405sqm to 682sqm, with prices starting from just $208,000! A number of these lots capture the cool sea breezes and back onto the stunning unspoiled bushland. A range of tailored home and land packages are also available from only $353,500! This unique lakeside estate provides an opportunity for affordable living close to all that the Sunshine Coast has to offer. 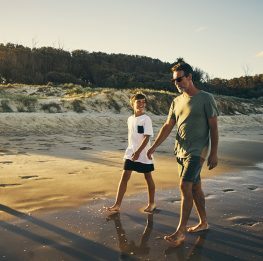 Residents are only minutes away from world-class amenities including the Sandstone Point Hotel as well as Bribie Island’s beaches, fishing and the award winning Pacific Harbour Golf and Country Club. Don’t miss out on one of the final stages in the estate and register your interest now! Very Last Gold Coast Acreage Selling Now From $375,000! Only 4 lots remain in our prized boutique estate in Maudsland – Tuxedo Junction. Nestled in the Gold Coast hinterland, Tuxedo Junction offers large, NBN ready, acreage lots sized from 4000sqm to 9211sqm from only $375,000! Live surrounded by natural beauty without sacrificing convenience. Discover a range of home and land packages from respected local builders and tailor them to your lifestyle needs. This prime acreage estate is located just 10 minutes’ drive to the M1, less than an hour from Brisbane, and only a short 30 minute drive to Surfers Parade. 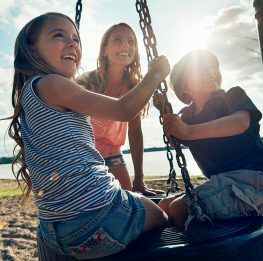 Residents of this community can enjoy the tranquility of parklands, lakes, creeks and walking tracks as well as the convenience of all amenities close by, including a range of private and public schools, Pacific Pines Shopping Centre and Westfield Coomera. Don’t miss out your last opportunity to own the only remaining acreage in the area and enquire now! South Stradbroke Island Waters – Superb 925sqm waterfront land with own beach now reduced to $390,000 10 min by boat to Coomera Waters Marina. Only a handful of lots remain. Coomera Quays – Large, level 644sqm waterfront home site with pontoon discounted to $580,000 ONO for this month ONLY! Short walk to restaurants, IGA and tavern. Springbrook Estate – 3000sqm up to over 1 acre overlooking parkland from $234,000. Hurry, limited number left! Coomera Quays – Luxury 4 bed home + study house and land package on a large 644sqm waterfront lot includes pontoon and pool $845,500. Coomera Waters – Panoramic views from exclusive gated “Quest” precinct, huge 1,518sqm lot only $425,000 with views that can never be built out – Only 3 lots remain! Central Springs – Home and land packages available from $349,900. Pacific Cove – 4 bed family home on 608sqm opposite incredible park, located on hilltop lot with room for a pool and shed from $496,000. Minutes to major shopping and walking distance to schools. Coomera Waters – Final stage 28 available NOW, secure your lot from only $299,000 to $350,000 for 450sqm-750sqm lots – 25 lots sold already so don’t miss out! Sandstone Lakes – New land release of 600sqm lots! Gold Coast – FINAL RELEASE, exclusive acreage lots adjacent to parkland and close to schools and shopping from $375,000 for huge 9,620sqm, only 4 lots remain! Coomera Waters – Final waterfront, canal release at Sovereign Lane from $550,000, direct access to Broadwater and central to the Coomera Marina Village – Only 3 waterfront lots remaining!